The day before yesterday, the reporter saw a cotton processing shop in Keqiao, Shaoxing County. The entrance was filled with a lot of freshly processed cotton quilts. The shop owner told the reporter that although the processing of a quilt this year was tens of dollars more than last year, the traditional quilt was still loved by the public. 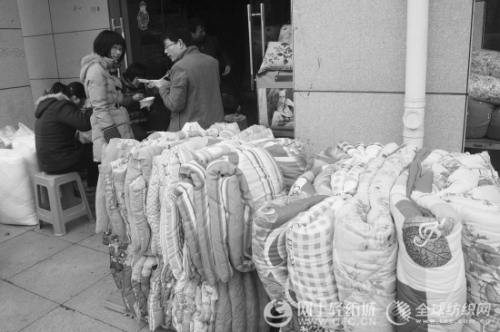 During this time, the weather turned cold and received more than a dozen orders every day.